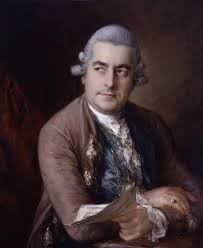 Today in Masonic history Johann Christian Bach is born in 1735. Johann Christian Bach is the youngest of Johann Sebastian Bach's children. Johann Sebastian was 50 at the time of Johann Christian's birth. Johann Sebastian instructed his son in music from a young age. Johann Sebastian passed away when Johann Christian was only 15. Although Johann Christian went into the family business his works are distinctly different from his father's work. Johann Christian tended to use a highly melodic style in his works. One reason for the difference is believed to be the realitvily short influence Johann Sebastian has on Johann Christian due to his passing. Johann Christian lived in Italy for a short time before moving to London. It is his time in London that gained him the nickname the "the English Bach" and "the London Bach". In London he would become Music Master to Queen Charlotte. He would also meet his wife Cecilia Grassi, a soprano, and marry her in 1766. Johann Christian Bach was a member of Lodge of Nine Muses No. 235, London.